There is a long list of testimonials that will instantly convince you that Sweets By LaDawn are the best option for Cincinnati wedding cakes. You will certainly get the personal touch with this company as you only work with the one baking genius. From cake decorating, baking and designing you will be able to work together through the process. Not only does this approach make Sweets By LaDawn one of the top choices in Ohio, but it makes wedding guests immediately want to recommend the bakery as soon as they have tasted the cake. When it comes to your wedding day there is nothing better than a mouthwatering cake that has all of the professionalism of a national bakery but the personal touches of homemade baking. That is exactly what Rosecakes provides. 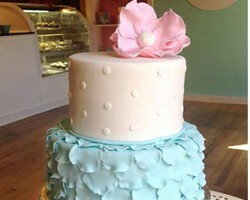 Angie Motz, the founder of this successful cake bakery, has a passion for wedding cakes that is unmatched in Cincinnati. Not only are her creations unique to every couple but they also come for some of the most affordable prices, especially when you consider their high quality ingredients and delicious taste. The gallery of the previous creations of elé Cake Co. serves to better show their work than any reviews ever could. You will immediately fall in love with so many of their designs that it will be difficult to choose your favorite. This company can provide baby shower cakes as well as elegant birthday cakes in addition to their luxurious wedding range. 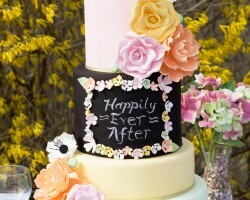 From bright colors adorned with cake toppers to traditional white tiered choices you will find something to suit you. It is the personal touch you get when you use the services of Heavenly Confections that makes all the difference. The master baker will have a consultation with you to make sure your wedding treat contains everything you love in a cake. 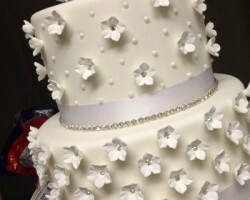 While other cake bakeries will try to make their service as complex as possible, Heavenly Confections makes sure ordering one of their masterpieces is as easy as possible. By removing all the stress and providing you with a delicious and beautiful cake, you will instantly fall in love with this bakery. When Amy Barkalow, the founder and owner of AmyCakes, started the company it was to further her passion for creating treats. 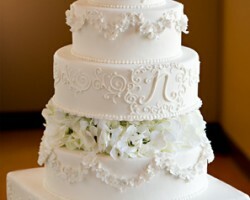 This has expanded into an award winning baking service that provides one of the most unique options for wedding cakes in Cincinnati, OH. 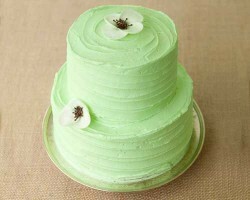 Her specialty is creating succulent cupcakes that offer a great alternative to a traditional wedding cake. Amy is ready to create the best custom cakes to suit your personality and she will provide you with all the information you need in your first consultation.